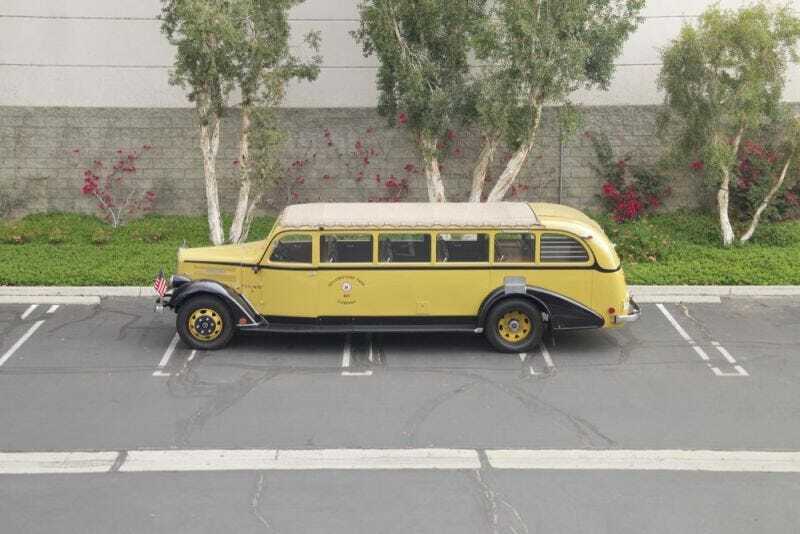 Earlier today we swooned over the amazing old Yellowstone National Park bus that’s up for sale in the Mecum car auction at this year’s Pebble Beach Concours. One of you one-up-ed us, hard. THAT VAN ON TRAX HOLY MOLEY. The bus. The other, weirder buses. You know, I was never really interested in seeing North America’s Great Upchuck, but I kind of want to go now. Thanks for sharing StalePhish! Selfie sticks have gotten A LOT smaller in the last seven years. Just not as functional as yours. Congrats on your COTD win.